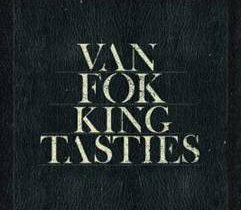 Van Coke Kartel, Fokofpolisiekar, aKING and Die Heuwels Fantasties are each creating two acoustic versions of old favourites and will also introduce a brand new track each on the album. The album will be released by Supra Familias at the end of April or the very beginning of May, after which the bands will take to the road to launch the album. VanFokKingTasties presents a rare opportunity for the whole family to enjoy the album and the shows together. aKING, Die Heuwels Fantasties and Van Coke Kartel have been nominated for SAMA Awards this year. aKING and Van Coke Kartel received nominations in the �Best Rock Album� category and Die Heuwels Fantasties was nominated in the �Best Alternative Album� category. Time: Doors open at 18h00. Event starts at 20h00. Finishes at 22h00. Contact: Wynand Myburgh: 083 233 9109. Contact: [email protected] / 016 454 8388.